Starting on April 15th we will be starting a regular monthly feature called Pro Tips. We are collecting tips from Calligraphy Pros from around the world to share with our readers. Our first Pro will be Heather Held. Heather will be giving tips on using Dianne Townsend Pastels. Check out Heather’s beautiful calligraphy, art, and hand-painted pen holders on Instagram: @heathervictoria1 and on her website: www.heathervictoriaheld.com. Check back monthly for new tips from some of the biggest talents in the calligraphy world! 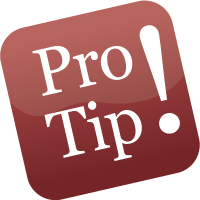 I like the idea of “Pro Tips”, and I’d like to request one: Could one of your pros address the issues of quill cutting & maintenance, especially the problems presented by sharpening a pen knife, with one side of its blade curved & the other straight? (I have been cutting my own quills with a handmade, supposedly Sheffield steel knife for not nearly long enough to become proficient, owing to the fact that the knife, once dulled, defies sharpening. I’ve used an Arkansas stone, as directed, but to no avail. Could a pro shed some light on the process? (After I-lost-track-of-how-many different Google searches, I found exactly one post demonstrating how to sharpen a pen knife, from a Talmudic scholar in Israel who was copying texts in Hebrew using quills; lovely description, but the Japanese mud-stones he was using are quite expensive – out of my league!) Thanks for considering this!